Picture this: You're on a video call and want to see what the person on the other end is talking about. That person scribbles a diagram on a piece of paper and holds it up to a webcam, or jots an image on a Dry Erase board and points a camera at it so you can have a closer look on your laptop. Not exactly seamless visual collaboration. Virtual whiteboards and visual collaboration software aim to ease this collaboration conundrum. Specifically, many of these devices, and the software in them, marry video conferencing with digital whiteboard annotation. So, on the same screen, users can see each other and mark up the digital whiteboard or other images for real-time visual collaboration. While conference calling, screen sharing and video conferencing are not exactly new concepts in the evolution of collaboration, the missing link has been when someone writes or illustrates something. How do you share that written content seamlessly with remote users? These visual collaboration canvases aim to solve that problem, said Irwin Lazar, a Nemertes Research analyst. Virtual whiteboards offer more than just whiteboarding or video conferencing as stand-alone services. 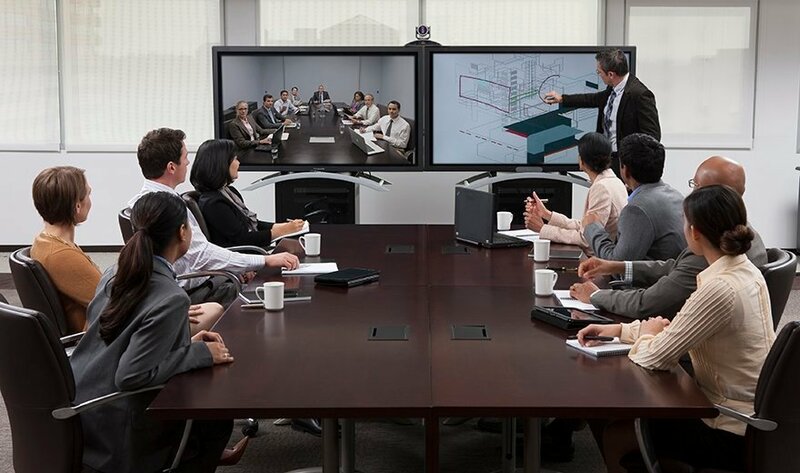 They content-enable a video call, so users can annotate images, capture that content and share it with others, said Chris Thorson, senior director of marketing at Polycom, which offers virtual whiteboard products. Polycom's UC Board includes two pieces of hardware -- a stylus pen and receiver -- that turns non-touchscreen surfaces into touch-enabled canvases that users can write on. The receiver is attached to the edge of the surface, such as an LCD monitor or Dry Erase board, and emits infrared sensors to create the virtual whiteboard. After turning on the receiver, users are presented with a content window that gives them access to whiteboard features including a palette and pen styles. Polycom also offers VisualBoard, a software application that lets users annotate content on a touchscreen display with their finger, a mouse or stylus pen. Other visual collaboration features include remote annotation and pairing mobile devices with the main screen. Users can launch presentation slides via a USB drive, PC or cloud application. The annotated content can then be saved and shared later. Photo: Polycom's UC Board lets users annotate images while also conducting video conferences. How could virtual whiteboards enhance your collaboration efficiency?